Proper maintenance of your through-the-wall or window air conditioner should be performed regularly and particularly at the beginning and conclusion of the season in which it is used. This also applies to heat and cool units that may be used year-round. Keeping up with maintenance of your unit will ultimately prolong the life of your unit as well as maximize its performance and efficiency. Note: To avoid injury, you should ALWAYS unplug your unit prior to performing any maintenance to your room air conditioner. Regular cleaning and replacement of the air filter is paramount. Clogged or blocked air systems must work harder to generate necessary airflow and, in turn, use more energy. Some models feature reusable filters while others must be replaced. Please consult your product owner’s manual for filter specifications and usage guidelines. Reusable filters that can be cleaned should be checked at least once a month and thoroughly cleaned with warm water and a mild unscented detergent, as needed. For filters that must be replaced, it is generally recommended that the filter be replaced about once every two months, dependent upon the window air conditions both in and outside your home. If pollen and other airborne allergens are particularly bad, the filter will require more frequent attention. 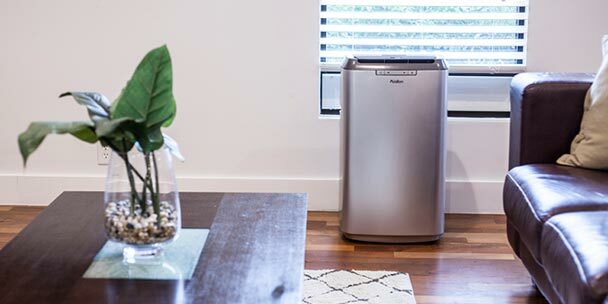 If a dirty filter is obstructing airflow, the air that does manage to pass through can bring in dirt and other air contaminants, which not only degrades the in-home air quality but also impairs the evaporator coil’s heat-absorbing capacity, lowering the unit’s performance capabilities. While regular filter maintenance helps alleviate buildup on the evaporator coils, you should still visually inspect the coils for collection of dust and dirt about once a year. The condenser coils on the back of the unit should also be tended to as they can collect dirt and debris as well. The fins on both the evaporator and condenser coils in your window air conditioner can often times bend, compromising the unit’s performance. You should regularly inspect the fins and repair bent fins by using a fin comb to straighten them out. When selecting a fin comb, be sure that the comb’s teeth count matches the fins per inch specification of the coil. If the unit has been stored, or you plan to store it, for an extended period of time, it is important to inspect and perform all of the above maintenance procedures, as needed. Prior to use after storage, you should also inspect the seals around the unit to ensure that there are no gaps that can allow cool air to leak out and/or insects and outside contaminants to enter. 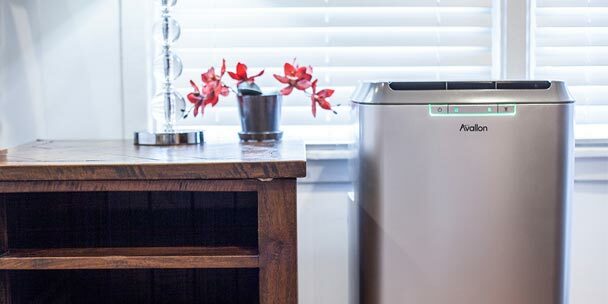 For heat and cool units that you may use year-round, you should protect them in the winter with either a cover or another type of all-weather material that can securely attach to the unit without obstructing airflow. If regular window air conditioner maintenance is not sufficient or your unit continually experiences issues, you should enlist the services of a professional HVAC technician. The technician should check refrigerant levels and test for refrigerant leaks, measure airflow through the evaporator coil, ensure that all electrical components are working properly and lubricate the motor and check belts. Thanks for the maintenance tips for air conditioners. My window unit seems to stop working every other week or so. It’s probably because I haven’t done most of these maintenance things you suggest, in quite a while. I will be sure to get a new filter as soon as I can. Since it has been a while since I’ve done any maintenance on my A/C unit, would you recommend hiring an HVAC tech to check it out? Or should I just try these other things first? How do you get mold out of a air conditioner unit? On my ac unit there is a lever that I can pull in or out (closed or open) and it says it’s for the vent. Which one am I suppose to do have it open or closed? Running my ac seems to make mine and my kids allergies really bad. Is there something I can do to help with this? I asked for a replacement Allergy Filter, not how to maintain my AC. I know how to do that. I want to know if I can get an Allergy filter for my AC even though they have the none replacement filter.